We begin with a few more living rooms that celebrate the power of indoor greenery. After all, your living area is the perfect place to make a dramatic statement. 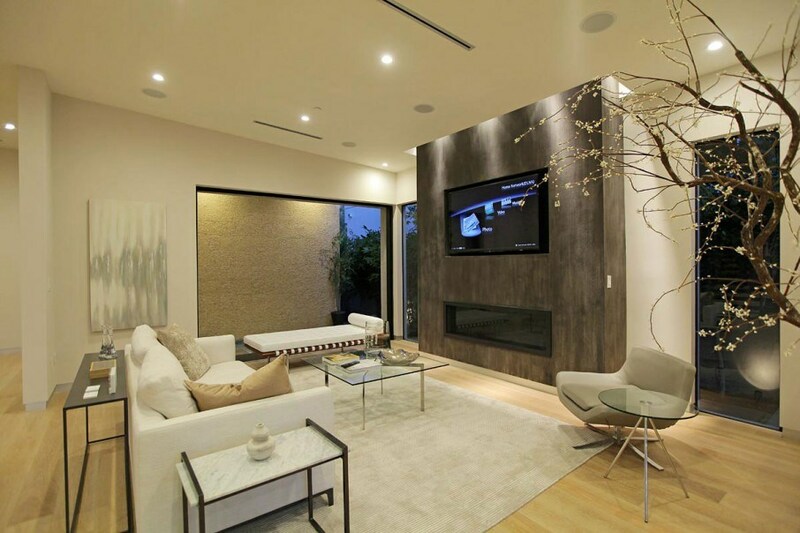 The blossoms below add an Asian touch to this sleek modern space. 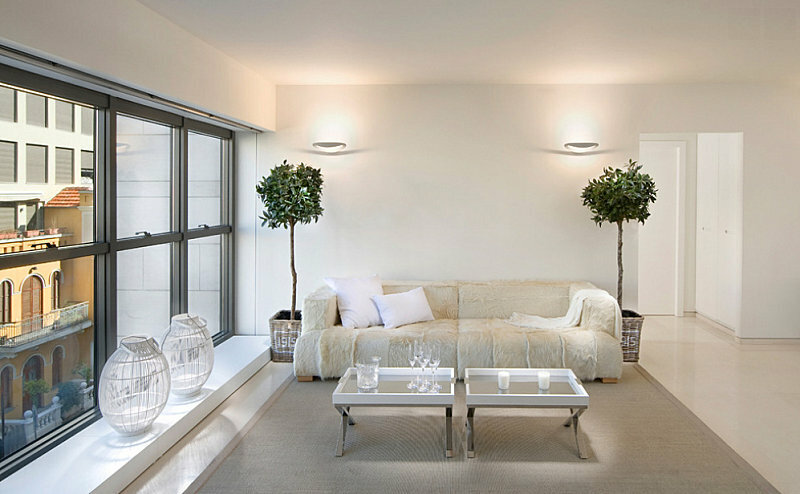 In this next all-white space, a pair of potted trees symmetrically punctuates a contemporary all-white living room. 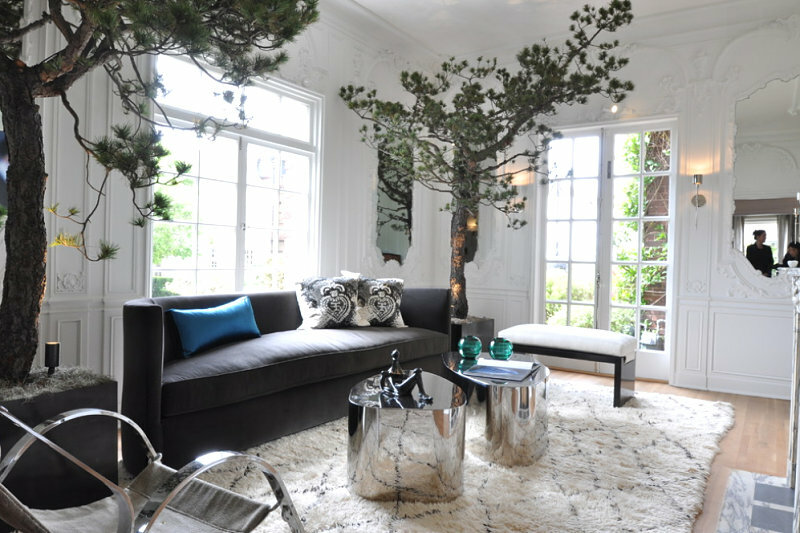 The trees also enliven the space by bringing the outdoors inside. 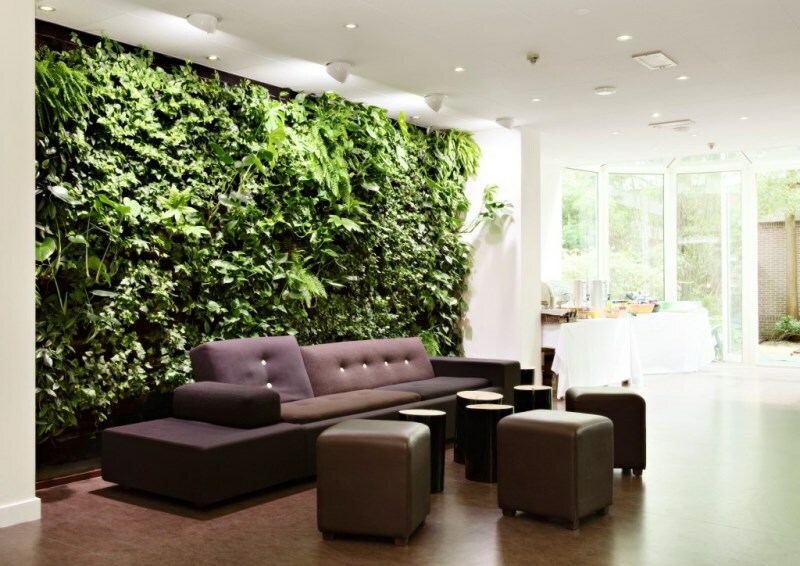 Brave enough to try a wall of greenery? Once again, we see the striking contrast of rich green plant life and pure white walls. The kitchen is a great place to enjoy the view of vibrant greenery. In fact, you can even use your plants to serve as a living room divider, as shown in the dining area below. 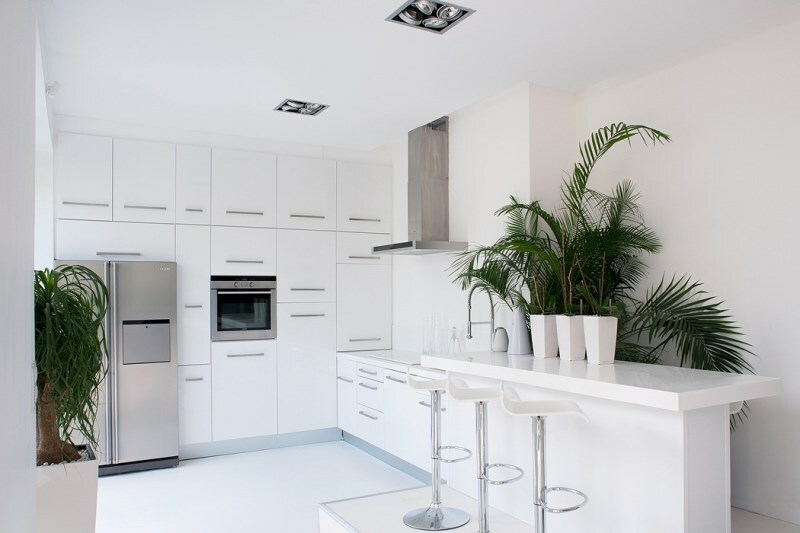 This all-white kitchen is the perfect backdrop for a slew of tropical plants. Palm leaves dress up the bar top, while a ponytail palm rests in a modern planter on the ground. 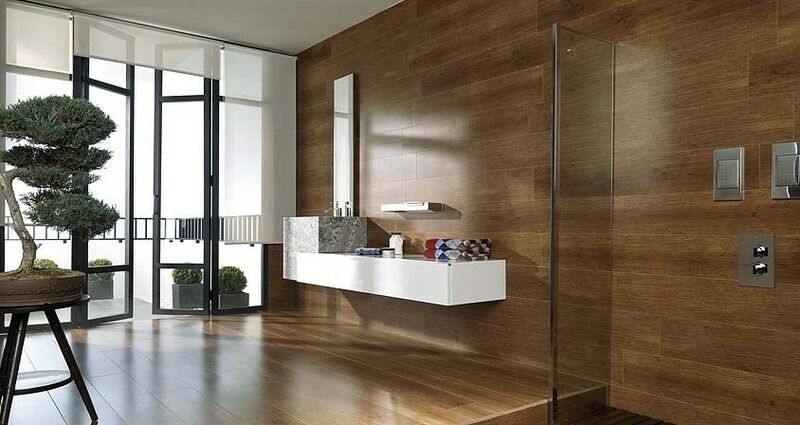 There’s nothing like a powder room that evokes the feel of a resort and spa. In this next clean-lined space, earth tones, glass and stone take center stage, along with a potted palm by the tub. For an unexpected touch, try a bonsai tree! 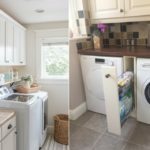 This modern approach is truly unique, especially when a contemporary powder room is the space of choice. 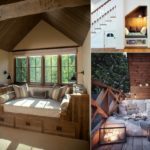 Τwo amazing spaces that beautifully blend an interior with the outdoors. 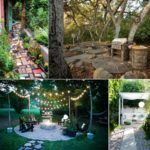 How fabulous is this indoor patio, complete with a chandelier and trees?! Yes, indoor trees! 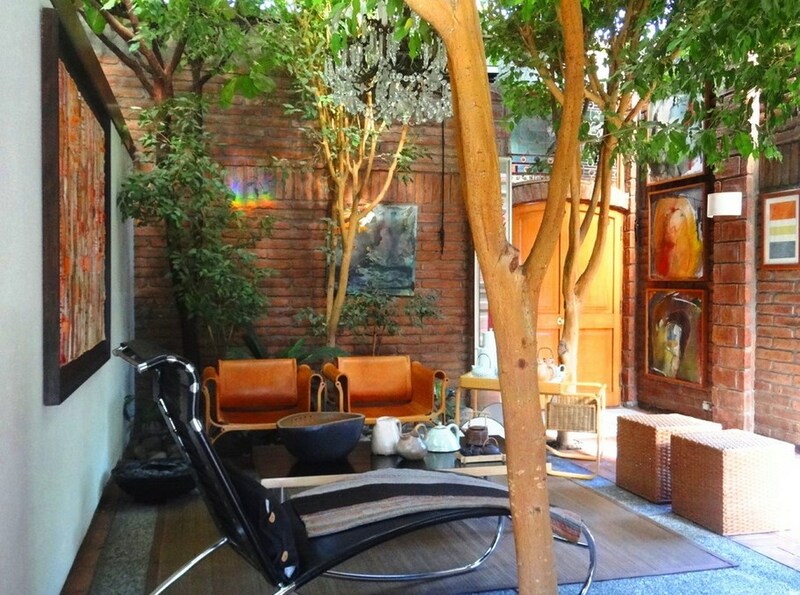 Not to mention, the combination of brick walls, modern furniture and ample leaves is quite striking. 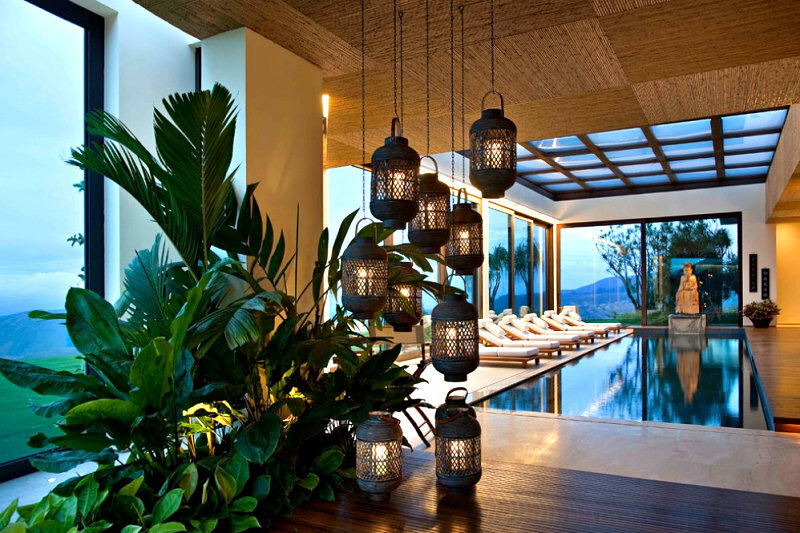 And what could be better than an indoor pool, except perhaps an indoor pool surrounded by lounge chairs, lanterns and plenty of tropical greenery? !